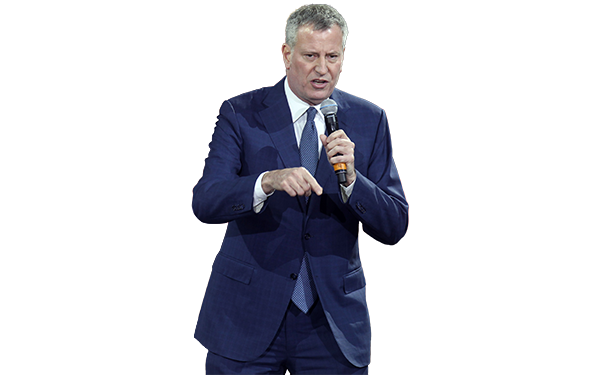 In going out of his way to tear down the exceptional test results of New York City’s public charter school students, Mayor Bill de Blasio showed once more his inability to tell the difference between shooting himself in the foot and sprinting. And that he shouldn’t be the first to cast stones. Just as when Schools Chancellor Carmen Farina offhandedly claimed that charters evict low-performing students as testing dates draw near, de Blasio advances an evidence-free argument that is likely rooted in low expectations about what poor children can accomplish. His unearned certainty reflects a mindset that has crippled urban education for decades. It does so in part by disparaging claims of achievement. Charter schools nearly doubled the ELA proficiency gains of traditional schools (13.7 percent compared to 7.6 percent)? Charters outperformed the state by ten points in math? A vastly disproportionate number of New York’s highest performers are charters? De Blasio believes anyone can do this — if they test prep. She speaks from experience. As principal of PS 6, the affluent Upper East Side elementary school, she was known for conducting “intense test preparation” for the month before exams, according to a 2004 New York Sun report. When school scores slid a bit after Farina’s departure, parents attributed it to the fact that the new principal was “more laid-back and place[d] less emphasis on test prep,” according to the Sun. A decade later, the New York Times found that extensive prepping persisted throughout the city despite efforts to reduce it. “Many students and parents are actually clamoring for it,” the Times reported; the article also cited a union survey that found 25 percent of k-8 teachers saying they spent more than five hours a week on test prep. The possibility of meaningful school improvement seems depressingly unlikely under the watch of a mayor who believes that charter students perform well only through the artifice of test prep and that when you “actually teach” kids they will score poorly.